CLUBHOTEL Lifestyle is dedicated to offering you variety of benefits, exclusively designed to compliment your lifestyle. The program successfully unites a growing network of over 80 hotels in the Middle East, including locations in the UAE, Saudi Arabia, Egypt, Qatar, Bahrain, Jordan and Oman. Participating hotels range from elegant city center business hotels to luxurious resorts in exotic destinations. 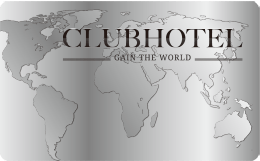 The membership benefits listed in this section is to be honored by participating hotels for all CLUBHOTEL Lifestyle members during the membership term.